1. 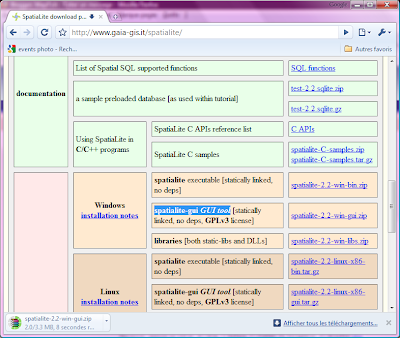 Open http://www.gaia-gis.it/spatialite/, download spatialite-gui GUI and unzip it. 4. Download from GeoFabrik the OpenStreetMap data of your country as shapefile. 5. 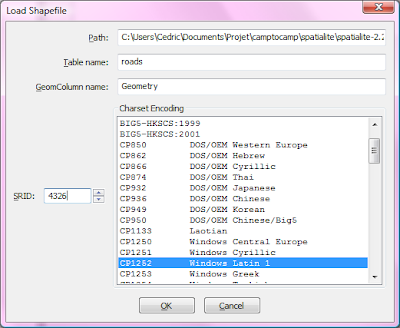 Use the function Load Shapefile of spatialite-gui to load the roads, for example. It takes some seconds to load 125256 roads, in my case. 7. And start playing with the spatial functions: select * from roads where MBRContains(BuildMBR(7.5,46.5,7.6,46.6),Geometry) = 1; Pretty fast, you will see ! 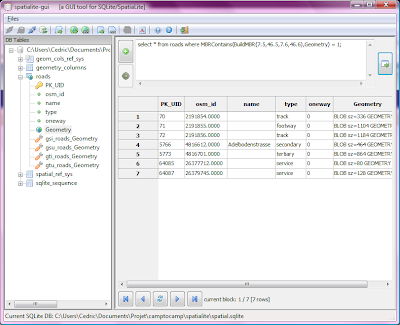 Nothing really new (Personal Geodatabase, SDF, others exist for a while) except the extrem simplicity, the file portability (cross plattforms), the possibility to access the shapefile as "virtual tables" (you can start SQL statements directly on shapefiles) and the OS license. 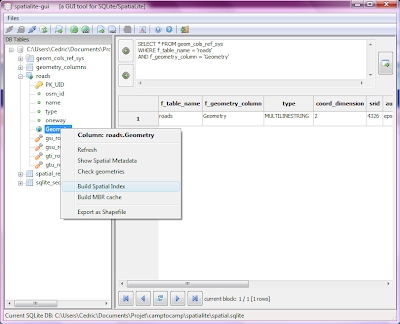 Of course PostGIS or Oracle Spatial will provide more functions or will extract data faster but I can imagine dozen of applications where the simplicity of spatialite is an huge advantage (SQLite is the most widely deployed SQL database engine in the world). Imagine a complete GIS system on an iPhone or Apache as cartographic server. Keep It Simple... but not Stupid ! 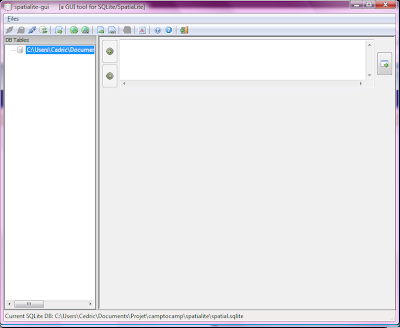 I want to convert from shp to db sqlite, what should i do ?? Spatialite GUI can do it ? ?